Senior IT Specialist, Michael Danh in his natural environment. 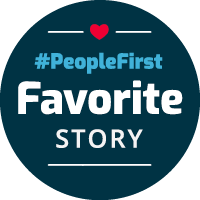 To help you better understand Michael, we’ll first give you a small sneak peek in the behind-the-scenes of these #PeopleFirst stories. Every month we receive over a hundred nominations for the amazing #PeopleFirst actions that Choice team members are doing for each other and for customers. This time around, one name popped up not once, not twice, but three times: Michael Danh. 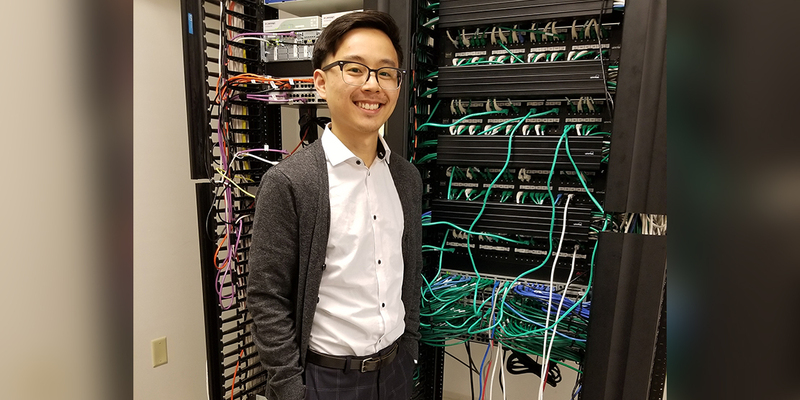 Michael Danh is a Senior IT Specialist in Golden Valley. He describes himself as “your friendly neighborhood IT guy” — and that’s exactly what he is. A friendly tech guide, always happy to help — and yet heroic in his efforts to calmly fight through technical issues and solve problems. This is what came up again and again as people shared their stories and gratitude for Michael. He describes himself as “your friendly neighborhood IT guy”. Another story came from April Slinger, who had a routine IT call with Michael. On one call in December, she mentioned she wanted to buy her husband a new gaming PC for Christmas. “I consider Michael an expert in computers and gaming,” she said. “So I asked him if he had recommendations.” Michael’s eyes lit up. He began explaining the difference between buying prebuilt or building yourself and walked April through the pros and cons. He even gave her his personal phone number in case she had any more questions while shopping. Using his advice, she picked out a computer that impressed both Michael and her husband. “My husband tells me even his most intense gamer friends are jealous of his PC,” she said with a laugh. Within the same month, Julie Dahle, an Internal Audit Manager with Choice Bank, was having difficulty getting access for an auditor to look at some files. She got Michael on the phone and he immediately helped de-escalate the frustrations and started working on a solution. Now, we have all likely experienced the painful headache of a program that crashes while we’re working on something or a computer that starts operating at snail pace seemingly for no reason. The temptation to lose one’s cool over technical difficulties is very high. So how does Michael do it?